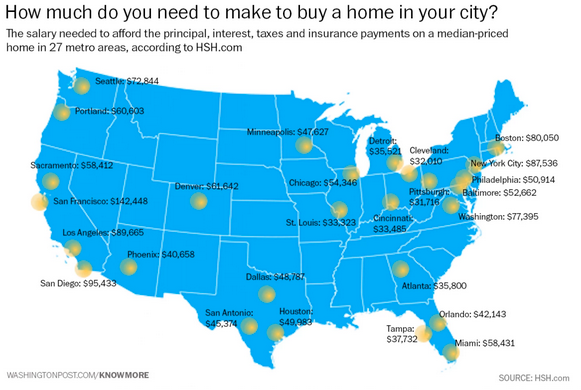 HSH has done the research for you and has posted what you need to earn in 27 metro cities in the United States in order to buy a home. Employers: Request for your free “Job Benchmark” below to identify top performers for your current opening, and verify your salaries are competitive. Employees: Request an “Intro Coaching Session” to begin to explore your own personal marketing strategy.